Our friend the Venerable Gelong Tenzin Peljor is making another visit to the group at Bosham House on Sunday July 14th. All are welcome to attend, the teachings will run from 10.00 – 4.00 with lunch from 12.00 – 2.00. 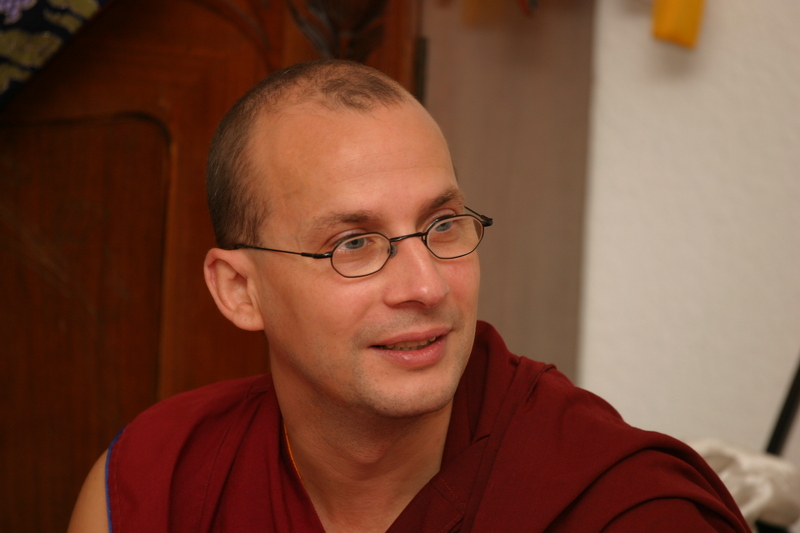 German born Tenzin Peljor is a Buddhist monk has varied spiritual experience. In 2007, at the request of Ringu Tulku Rinpoche, Ven. Tenzin became resident monk at Rinpoche’s Berlin Centre. He has studied Buddhist philosophy in Italy and visits prison inmates on their request. Ven. Tenzin has a warm, empathetic approach and is fluent in English. You are invited to make a donation at the door to help cover costs and to contribute towards our offering to Tenzin. There will be a shared buffet lunch, please bring food to share! ian.stuart108@gmail.com or phone 07811 956016. This entry was posted on July 5, 2013 at 5:20 pm and is filed under Buddhist meditation, News, Programme, Teachings, Tibetan Buddhism. You can follow any responses to this entry through the RSS 2.0 feed. You can leave a response, or trackback from your own site.